The Mark Stephens Yoga Sequencing Deck empowers yoga students and teachers to be their creative best in designing yoga classes. With a 92-page booklet covering the principles of sequencing yoga classes and providing clear guidance on arranging postures in the most effective ways, the deck includes 100 yoga flash cards color-coded by pose family (Standing, Core, Arm Support, Back Bends, Seated Twists, Forward Bends & Hip Openers, Inversions, and Savasana). The cards feature clear color photos of postures with the corresponding English and Sanskrit names on side one and detailed information on how to put postures together in sequences that work for unique students and special class intentions on side two. 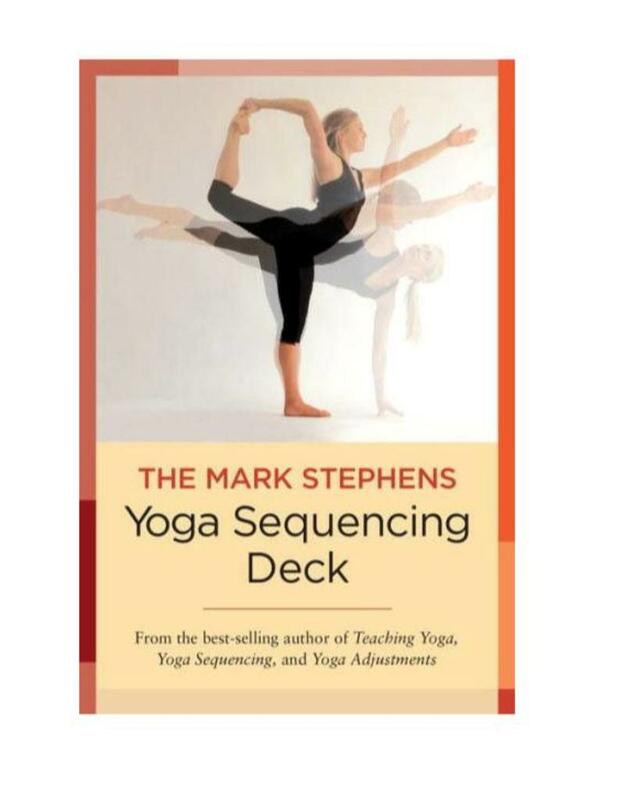 The perfect companion to Yoga Sequencing or for use on its own, this deck is a hands-on way for readers to gain knowledge and skills for planning and designing yoga classes.